A unique acrylic transparent glaze for decorative paint work in temperatures above 21°c/70°f, or in lower temperatures where a longer working time is required. Dries to a durable water resistant finish on a wide range of surfaces. This interior or exterior glaze is the first water based product to reproduce faithfully the beauty of traditional oil finishes. 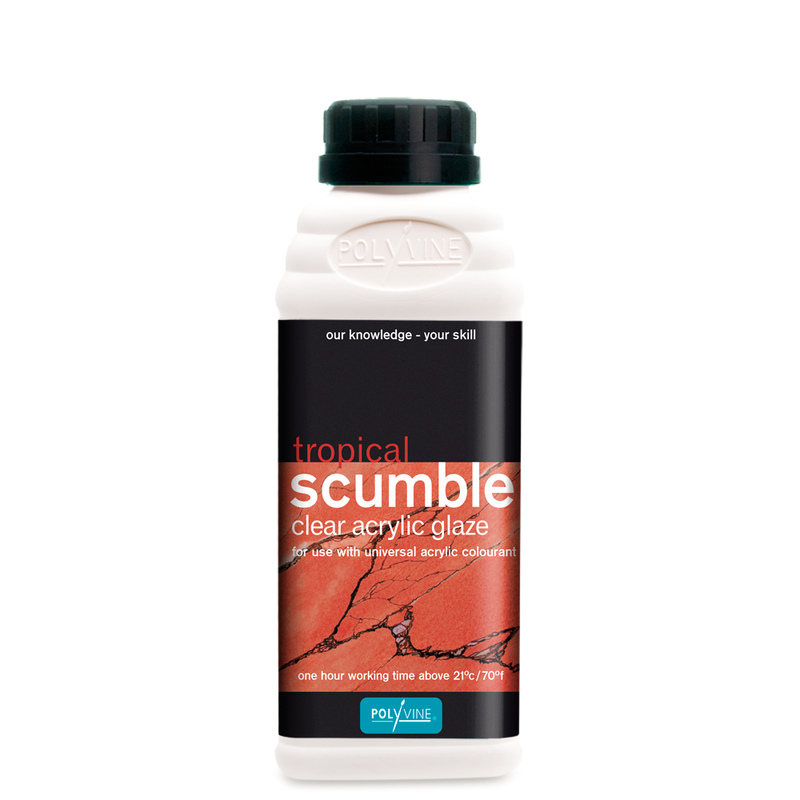 Ensure that Scumble is well mixed. Select base coat colour in vinyl silk emulsion/satin latex or acrylic semi gloss/eggshell. Apply base coat and allow to dry for a minimum of 24 hours with ventilation. For maximum open time seal with Polyvine Decorators Varnish. 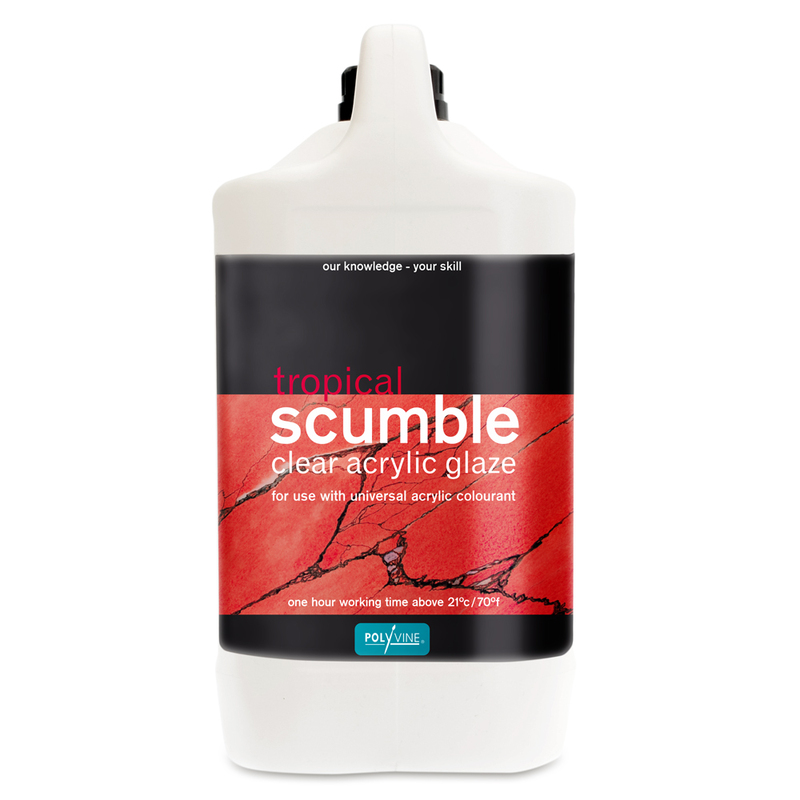 Colour your Scumble with Polyvine Universal Acrylic Colourant, mixing thoroughly. Brush or roller the coloured Scumble liberally over the base coat. Create the desired decorative effect by breaking the surface with a crumpled rag, bag, sponge or a Polyvine tool or brush. Always test adhesion and the application of the effect on a trial area before starting. Low temperature or high humidity increases drying time. Air movement is essential for faster drying. 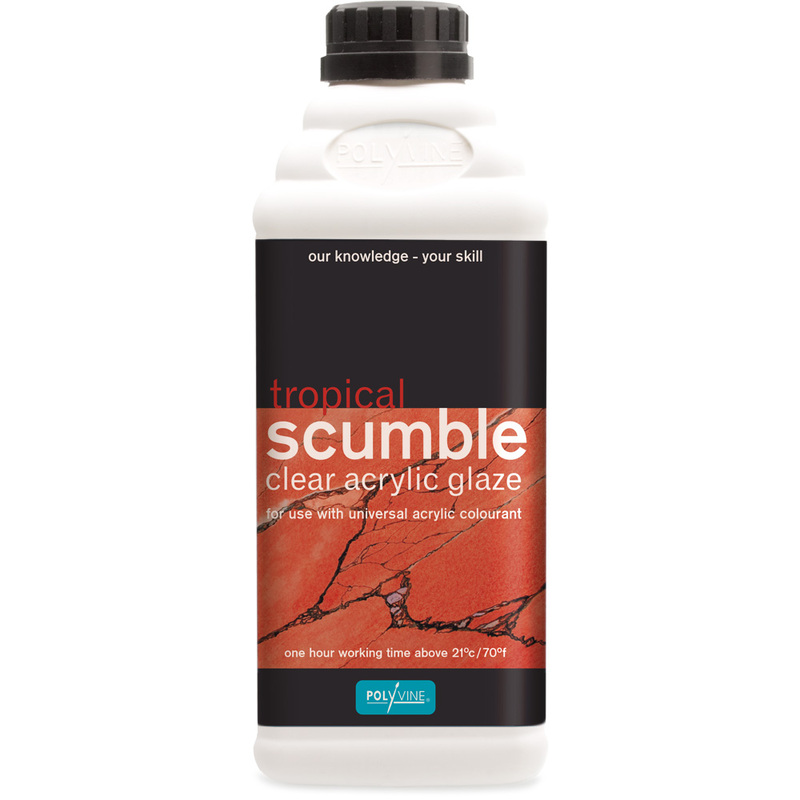 Coverage/thickness of Scumble will affect drying time.